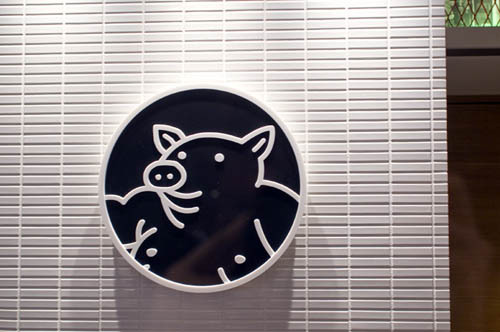 One of Nagoya's most famous tonkatsu shops, Yabaton is known for their tasty miso-slathered cutlets and their cute pig-sumo wrestler mascot. 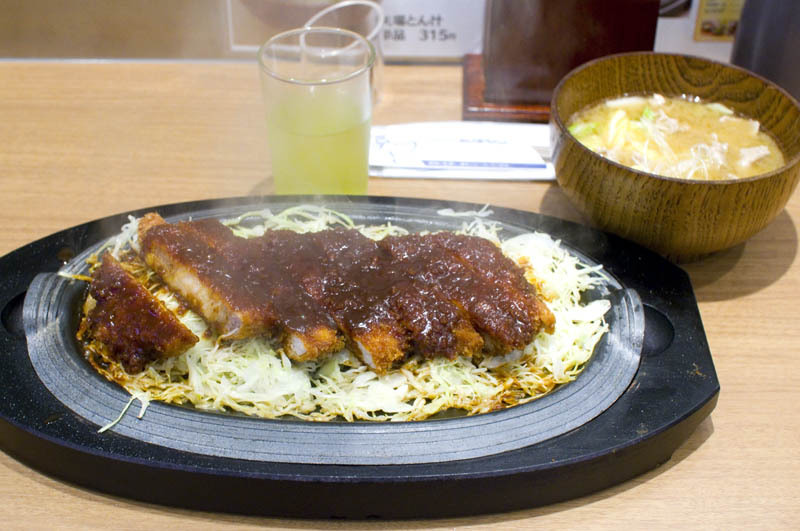 The teppan tonkatsu (Y1365) is their best-selling dish - a hefty portion of fatty pork cutlet covered in a sweetish miso sauce, laid over a bed of cabbage and served on a metal platter that steams and sizzles at it arrives in front of you. The large and very meaty pork soup is highly recommended as a side dish. Other popular choices include kushi-katsu, deep-fried prawns, oysters, scallops and vegetables; crab croquettes; asparagus spring rolls; and curry-rice dishes. 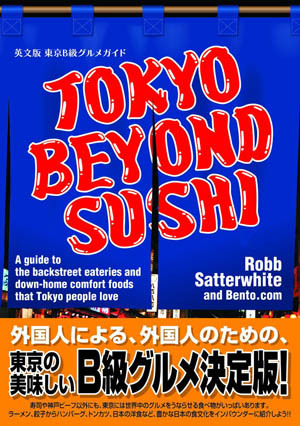 Most of the tonkatsu varietions are available to take out. 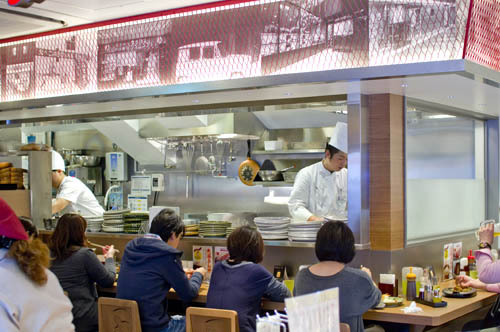 The shop is located in the "meat zone" portion of the new Gran Roof complex, in the basement arcade on the Yaesu side of Tokyo station, just south of Daimaru department store.